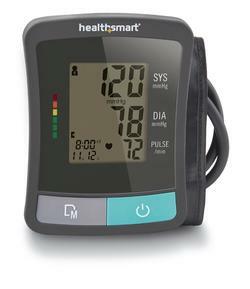 Briggs Automatic Upper Arm Blood Pressure Monitor, 11.75-16.5 in. Memory: 2 user memory storage, upper arm unit holds up to 60 readings total. Display: date and time stamp, visual BP guide, shows average of last 3 readings and irregular heartbeat detection. Upper arm unit includes: adult cuff. (11.75″– 16.5″).